Origin of life researchers are getting desperate. By saying that life may have originated in outer space and then found its way to Earth ("panspermia") and then evolved, they are only pushing back the question and making things worse. Not only do they push the problem out into space, they have to postulate a believable model of how it arrived through space, survived the trip through our atmosphere and so on. And yet, they're saying that life may have arisen on Mars, even though there is no chance of life there. Some postulate that we are all actually Martians. There are contradictory papers about life originating on Mars, and they are stymied by RNA, phosphates, ribose and water. All of these desperate attempts to explain away the Creator lead to serious facepalm responses. Both studies have brought renewed attention to the idea that life on Earth was seeded from space, a theory known as panspermia. However, they can’t both be right. 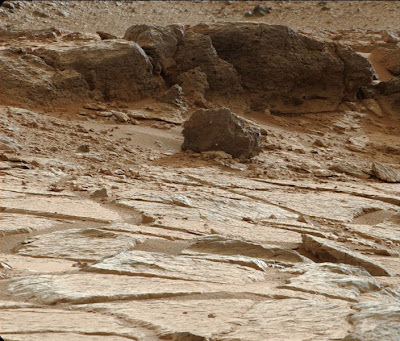 One idea requires Mars to be covered in liquid water, while the other needs it to be as dry as a desert. You can read the rest at "Mars Panspermia a Sign of Desperation"
Can an Aerospace Engineer be a Creationist?